Choosing a name for your baby can be a challenging process. After all, this is the name that your child will have for the rest of his life, so you can’t be indifferent about it. When I was pregnant with my first child, my husband and I made a list of several baby names, and agreed that we’d use those names for all of our future children. We had a hard time agreeing, so we knew that once we found names we both liked, we had to stick to them. That’s why many parents choose to display their children’s names or initials in their bedrooms. It’s a great way to personalize the space and acknowledge how much you love the name that you chose. Creating a room that is custom designed for your child will make him feel special. 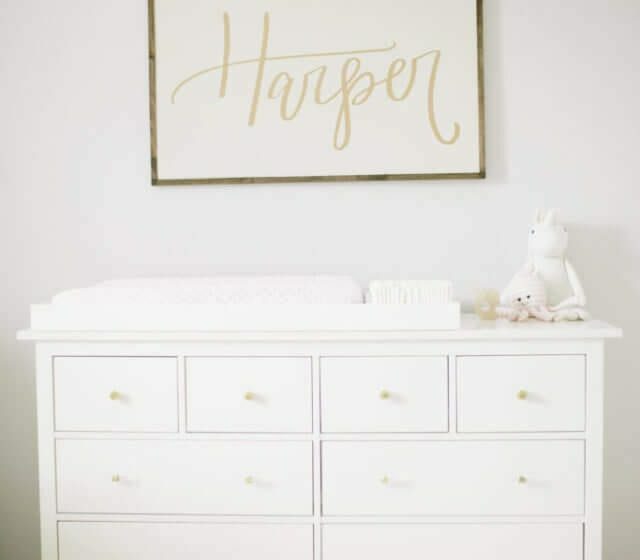 There are lots of great ways to incorporate your child’s name or inital into your design plan, and these are just a few to consider. If you prefer creating pieces that are handmade, a stained wood name wreath is a fun project. I like this one because it combines your child’s full name and first initial. The pairing of dark stained wood and galvanized metal provides a nice mix of textures for the room. You can hang it using ribbon, or get creative with another material. Head over to craftcuts.com for the list of supplies and directions for making this. Maybe you like the idea of something that is specially made for your child, but you don’t want to be the one who makes it. 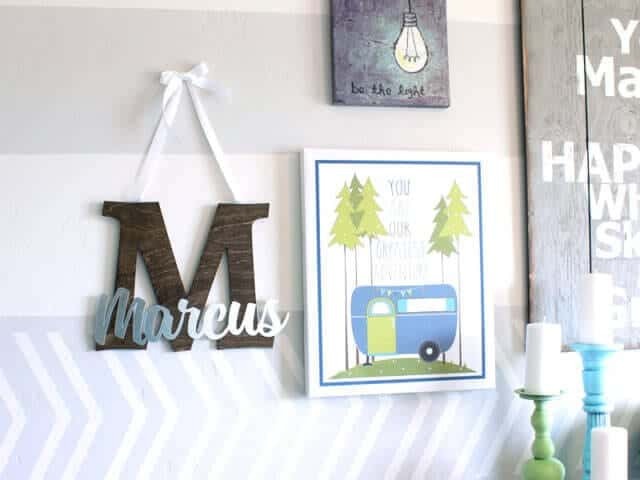 There are many great places to find custom made products, like the Etsy shop Six Eleven Co. You can get a large hand lettered name sign to frame, which would be a simple way to personalize your child’s room. For more places to find great children’s bedroom pieces, check out Project Nursery. For something really unique, there’s an art form called string art. It is, simply, art that is made using string. This option is great for bedrooms that have a fun, colorful vibe. The string provides an element of texture to the room, and the look of the art is really cool. Check out Nine Red, where you’ll find information on ordering a custom made string art tablet. Even when you think you know how you want to decorate your child’s room, sometimes you change your mind along the way. That’s why I like the idea of a non-permanent way to display your child’s initial. There’s a great company called Name Bubbles that sells personalized labels you can stick on your child’s wall. The labels are waterproof, and can be removed and reused easily. No paint to cover up, no hassle with starting the project over again. Another non-permanent way to customize your child’s room is with bedding. Instead of hanging something on the wall, you can get a fun pillowcase with your child’s name on it. If he ever moves into a different room, he can take the pillowcase with him, no problem. 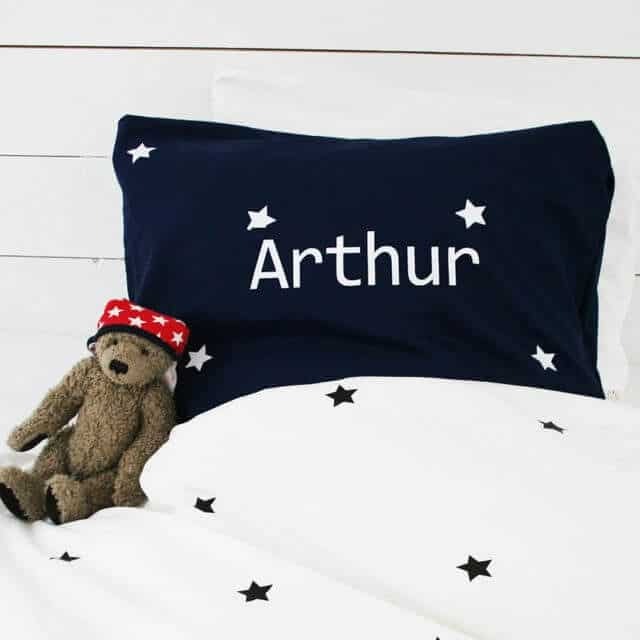 You can find adorable personalized bedding products from Not On High Street. Have a child who loves to read? Or whose bedroom has a vintage style? 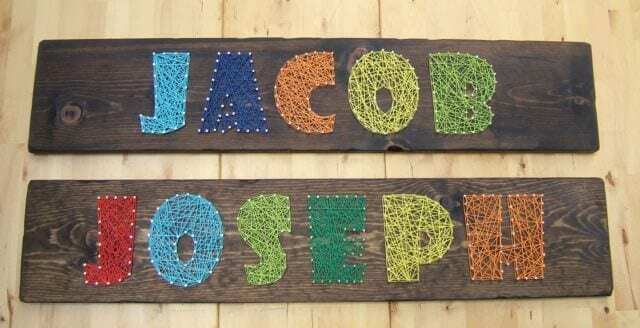 This DIY name sign would be perfect! It’s so unique and really easy to do. All you need are some books with decorative covers, cardstock and no-sew jersey ruffles. The full tutorial for this project can be found on Kojo Designs. Who doesn’t love burlap? Not me. I think it’s awesome. 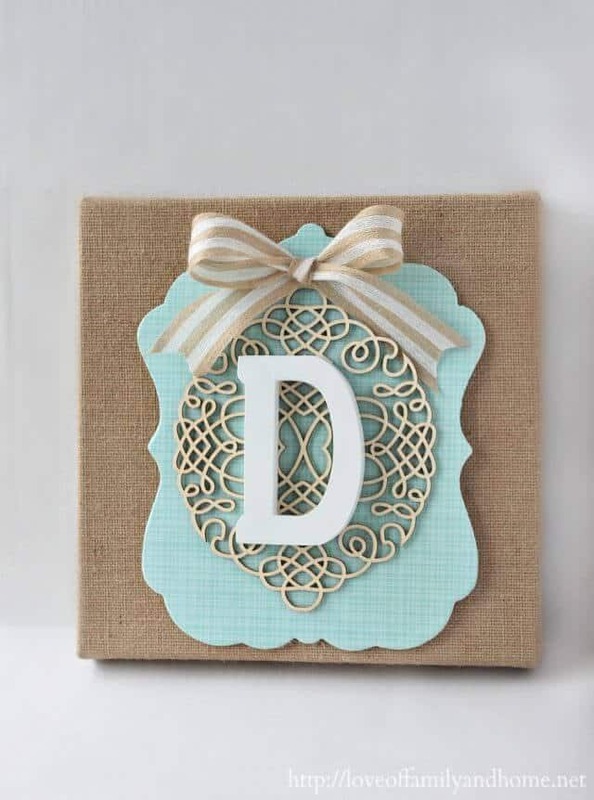 And you can make a really nice looking monogram display for your child using a burlap canvas and a handful of other materials. If you’re familiar with mod podge, this project will be a piece of cake! Check out Love of Family and Home for everything you need to know about making this. 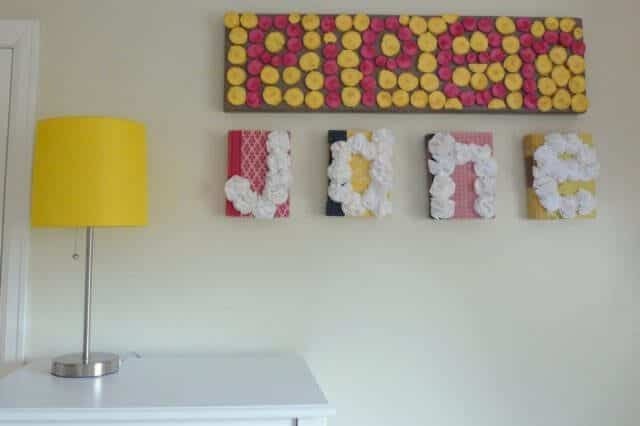 The post 7 Ways To Display Your Child’s Name In Their Bedroom appeared first on Life As Mama.